Andrea Graichen is a frequent soloist in the Greater Portland area, performing a wide variety of alto and mezzo-soprano repertoire. 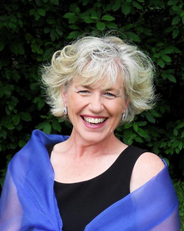 She is a longtime member of ChoralArt and the St Mary Schola, early music ensemble. Andrea has appeared as a guest artist with the Portland Symphony Orchestra (PSO). She also sang the role of Mother Jeanne in the PSO’s presentation of Poulenc’s opera Dialogues of the Carmelites. In concert operas she has sung the roles of Venere in Monteverdi’s Il Ballo delle Ingrate, Dido in Purcell’s Dido and Aeneas, Venus in Blow’s Venus and Adonis, and Ninfa and Messaggiera in Monteverdi’s Orfeo. Andrea’s recital appearances this year featured French art song, works from Broadway, and an extensive variety of American art song. Solo repertoire includes Mozart’s Parto! Ma tu ben mio (La Clemenza di Tito), Schubert’s Der Hirt auf dem Felsen, Robert S. Cohen’s Alzheimer’s Stories, Pergolesi’s Stabat Mater; Poulenc’s Gloria; Stravinsky’s Mass; Mendelssohn’s Elijah, Britten’s Ceremony of Carols; Bach’s Mass in B minor; Handel’s Messiah; and Mozart’s Coronation Mass, Regina Coeli, and Requiem. Andrea is a new student in St Mary Schola violinist Lauren Hastings Genova’s studio. Andrea and her husband Dana reside in Arundel.